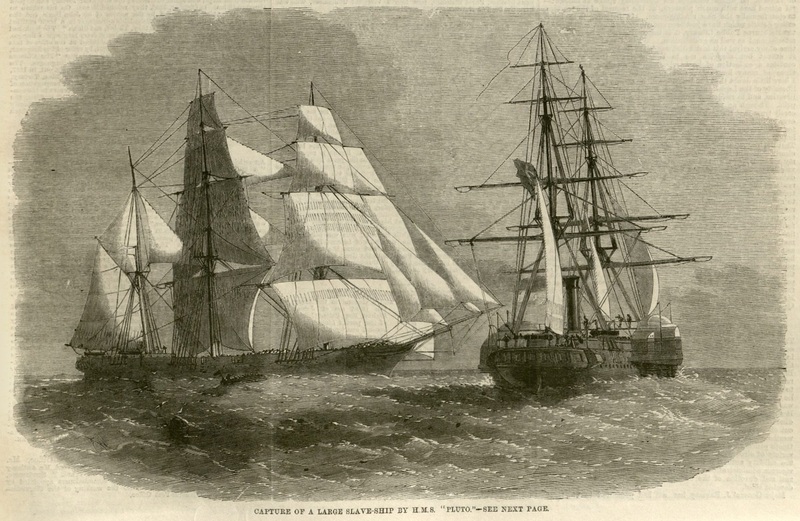 A British naval vessel capturing a slave ship. The Illustrated London News, 28 April 1860. Courtesy of University of Missouri Libraries.